Author and Pastor Elizabeth B Adams combines sacred stories and personal narratives to give people living in chaos some peace as primary caregivers. 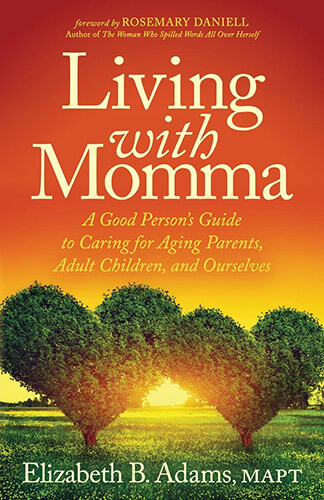 This book is for people serious about finding rewarding relationship when adult family members are living together. Preorder now to claim your free gift! To thank you for your preorder, we’ll email you printable affirmation cards and a printable workbook to accompany you while you read Living with Momma. Both practical and spiritual in approach, Elizabeth's uniquely refreshing perspective can lead us to wholeness and a less divided life, all the while acknowledging the love that lies behind our actions in the first place. Copyright © 2019 World Peace Project. Website design & hosting by RFX Technologies.